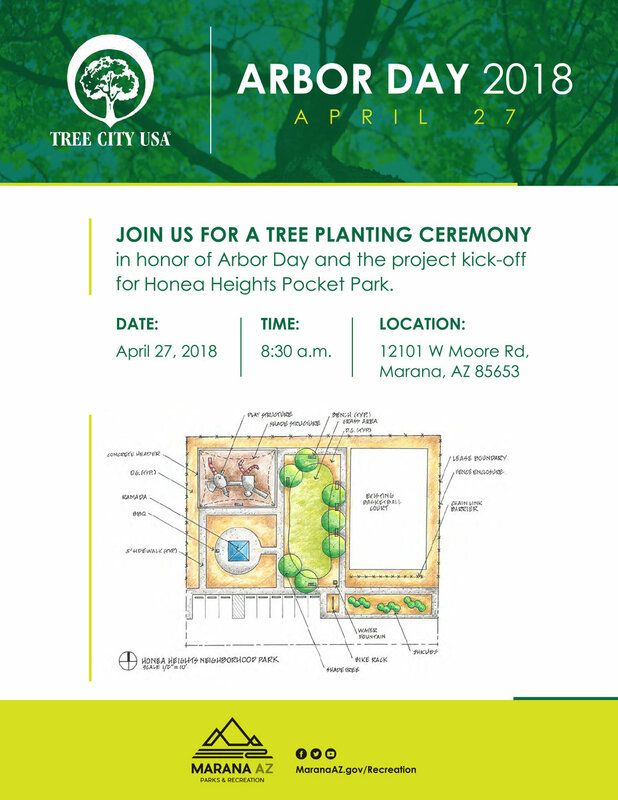 Come celebrate the groundbreaking of the Honea Heights Pocket Park, as well as celebrating Marana's Tree City USA designation. Get a sneak peak at the newest park in North Marana, as well as a tree planting to celebrate Arbor Day. Town Council will be on hand to plant a tree in honor of Arbor Day, as well as celebrate the construction of the new park in the Honea Heights Neighborhood.